Have you been asking yourself, “how can I sell my house fast?” Are you wondering what would make more sense, selling your house to a real estate investor or listing your house through a real estate agent? Selling through a real estate agent puts your house on the open market for a variety of buyers to see and often makes it possible to sell your home for more. If your home is in really good condition and you are not in a hurry to sell, using a real estate agent may be a good choice. However, if time is not something you have or you don’t want to rely on the current market for a quick sale, a real estate investor may be a better choice for you. Usually, it only takes 1-4 weeks to close a sale with a real estate investor. Still not convinced? Here are some other conditions that may make a real estate investor a good choice for you. You would also have to deal with the hassle of finding contractors and getting inspections done, which could take several months if you don’t know what you are doing. A real estate investor will buy your home as-is for cash up front. Often, the amount they offer you is relatively close to what you would net after you spend money first on all the repairs and then realtor commissions and closing costs. 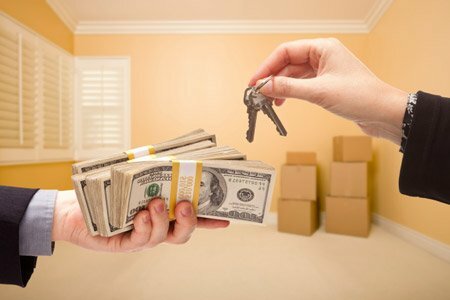 By selling to a real estate investor, you could be saving yourself many months of stress and hardship. Do you need to sell your home fast but stay in your home for a little while after closing? Perhaps you need to receive the money for your home before closing. A real estate investor will often be more flexible than a buyer found through a real estate agent. Have difficult renters? Many investors will purchase your property with the tenants still in residence. Then you don’t have to deal with the inconvenience and stress of evicting them yourself. So, basically, if you are looking at having to spend thousands of dollars just to appeal to a regular buyer, like the ones found by listing through a real estate agent, or you have a rental property you don’t want to maintain anymore because of difficult tenants, selling to a real estate investor is probably the best option for you. This will allow you to sell your house fast and walk away comparatively stress-free.